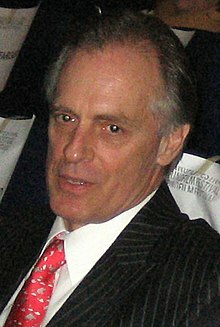 Keith Ian Carradine (born August 8, 1949) is an American movie and television actor and singer. He is known for his roles as Tom Frank in Robert Altman's Nashville, Wild Bill Hickok in the HBO series Deadwood and FBI agent Frank Lundy in Dexter. In 1976, Carradine won the Academy Award for Best Original Song for I'm Easy. That song was in the movie Nashville. This page was last changed on 8 April 2019, at 22:28.